Supercell created Clash Nights to get its top grossing and played mobile game, Clash Royale, out of the home and into the public arena. Over a 5 week period, I worked with a product strategist and a developer to create Clash Nights' first event RSVP and host training platform. 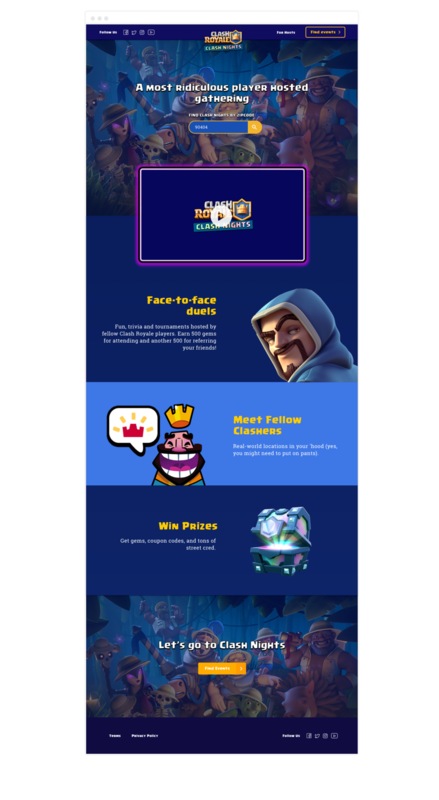 As an avid Clash Royale player and fan, I could not have been happier to work on the project and am extremely proud of the outcome. Watch this video to catch a glimpse of the magic that is Clash Nights.